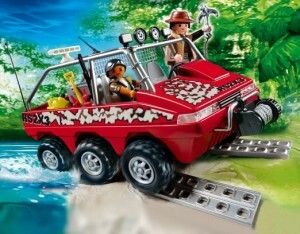 Toy Fair 2011: New for Playmobil! 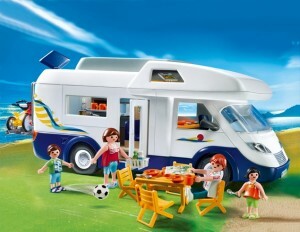 Home » Toy Fair 2011: New for Playmobil! 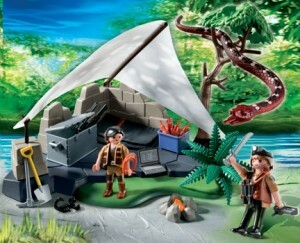 Playmobil is one of my favorite companies for imaginative play. 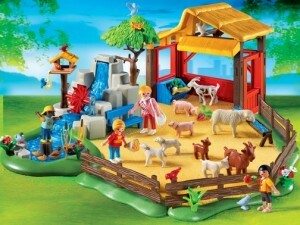 Whether exploring magical realms or planning a family vacation, each theme stays true to Playmobil’s reputation for providing high-quality, detailed toys that allow children to have fun and learn through unrestricted play. While visiting Playmobil’s showroom at this year’s Toy Fair, I fell in love with quite a few of their new playsets. There is LOTS in the works for 2011. 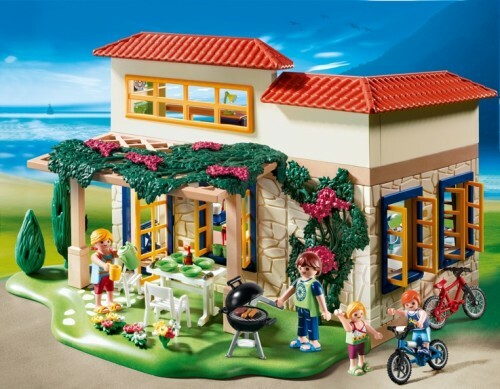 Life is carefree at the Playmobil Summer House. The house is equipped with a kitchen, bathroom, and bedroom, making it the perfect getaway for a family of four. The pretty terrace decorated with plants has patio furniture and a grill for barbecues. Set also comes with four figures and many other accessories. 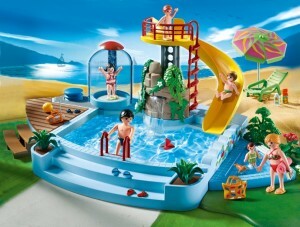 To accompany the Summer house, Playmobil has introduced the Pool with Water Slide and Camper. The pool can be filled with water and comes with a functioning shower. 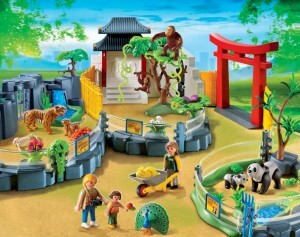 The set includes six figures and many other accessories. The Treasure Temple allows children can navigate their treasure hunters through the guarded, trap?filled, treasure temple. The stake barrier, drop pit, and falling rocks make it difficult to pass through the temple to find the hidden treasure. 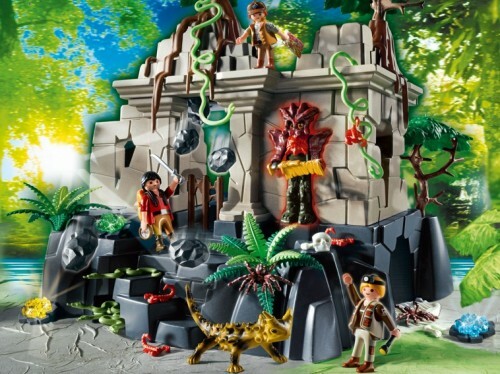 Set comes with two temple guards, three treasure hunters, giant lizard, treasure map that can be revealed when rubbed, and many other accessories. The zoo is a popular place for families to visit. 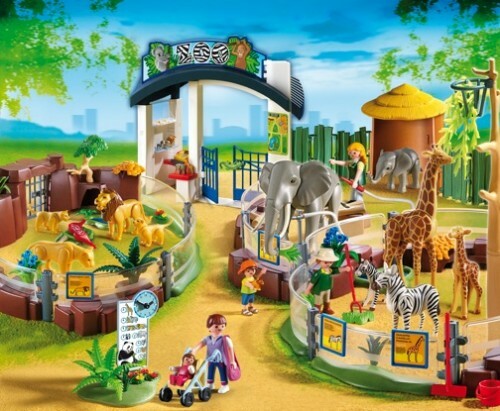 Available in April, this set comes with five figures and multiple animal enclosures for the elephants, giraffes, zebras, and lion family, all designed with realistic details. The zoo also includes an entrance with a ticket counter and a souvenir shop. Adjustable clock and many other accessories are also included. This set provides hours of fun role-play options.